Download Parhlo Blogger Premium Template for a heavy news or photography based blogspot website. 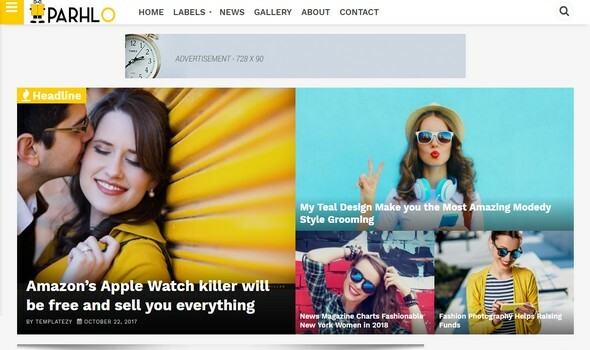 Parhlo is a Premium Magazine Blogger Template inspired from Wordpress Theme. It is adapted from WordPress theme. 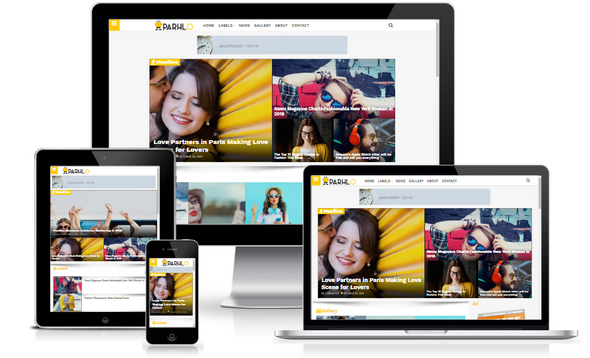 It is a multipurpose fully responsive blogspot theme ideal for Blogging, Photography, News, Technology and Portfolio Webportal. 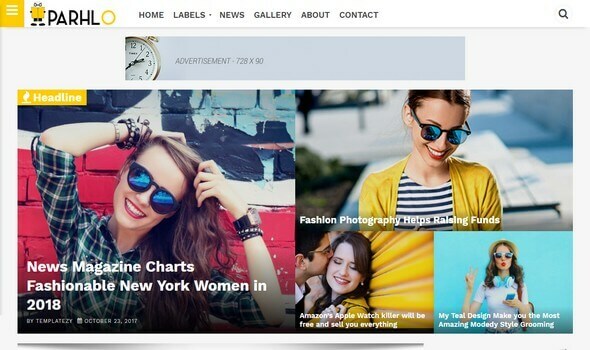 It is a first magazine theme that completely work on drag and drop by using HTML5 tags. It display different categories to display your desire content in specific area. A user can display content in random way by using Parhlo. This blogger theme would bring extra beauty in your blogger site. It is designed for latest SEO technique which included, meta tags, latest Schema and much mores. So, if you are looking for heavy magazine blogspot theme, Parhlo would be the perfect choice for your next site. Approved: This template is Adapted from wordpress theme to redesign it for Blogger/Blogspot with fully freedom. You can use it ultimately with footer links. SEO Friendly Template: When it comes to SEO Parhlo theme is a perfect choice. Schema.org integration, meta authors, dynamic meta description, H1, h2, h3 Title tags and all possible SEO related tags are optimized wisely. There is no need to dirty your hands with internal customization. Enjoy it. Speed: Parhlo takes seconds to lead in any major or old browsers. Supported large variety of browsers. Time speed of Parhlo increase SEO boosts of your site. 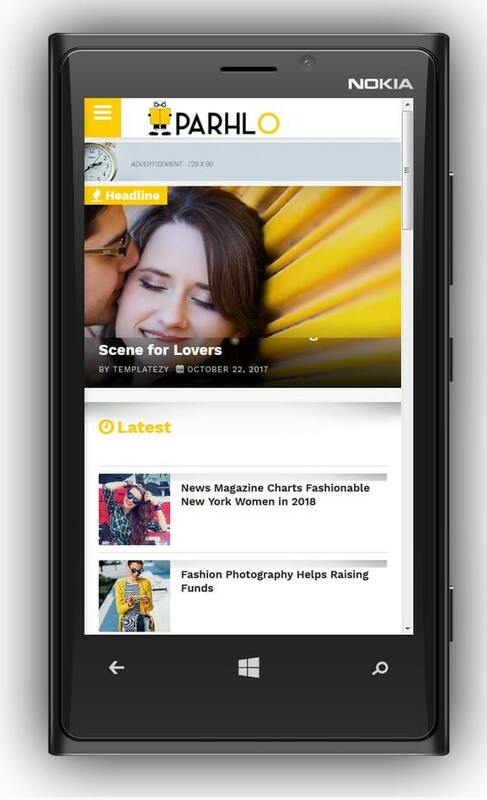 Navigation: Mobile Menu with Flexible Navigation brings much beauty in your site. Here you will get a dynamic menu appear at the right top corner. Setting menu in Parhlo would take few seconds. Check documentation file. We are really hopping that Parhlo Blogspot Template would fulfill your needs. It bring all the necessary functions that needs for a one well established mega webportal site. I hope you would all like this theme. let us know for any issue in comments thanks.